Elegant, very feminine and totally irresistible. 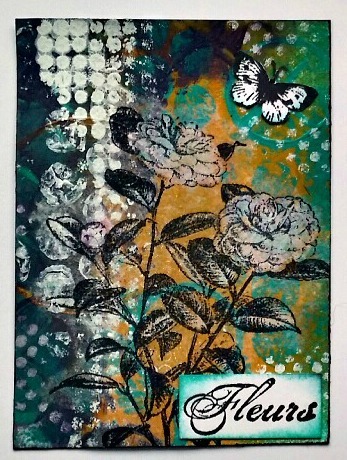 For this challenge I’ve put together a set of three ATC’s. 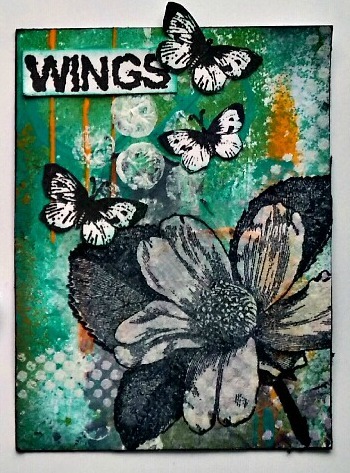 The painty background was full of colour with splotches of white here and there. 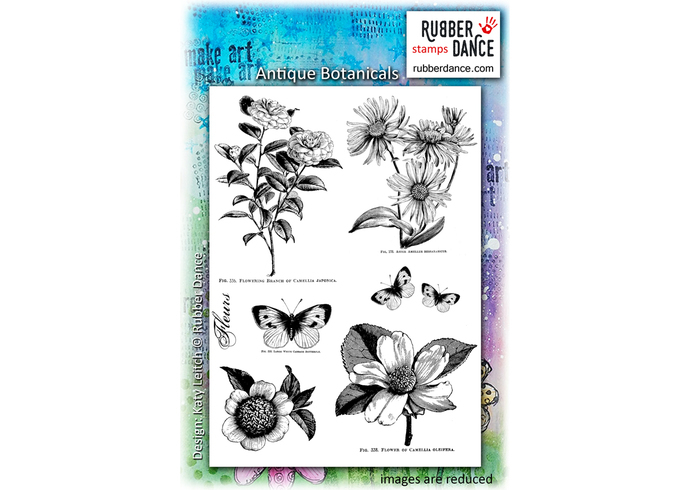 It seemed just right to add some images stamped onto tissue paper from the Antique Botanicals set. The flowers are all so different and I wanted to show each one off separately. 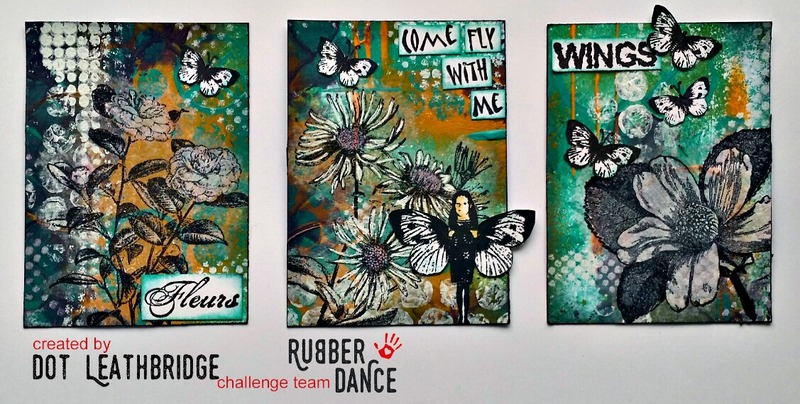 You will find a whole lot of inspiration over at the Rubber Dance blog…with loads of creative ideas for you to try. 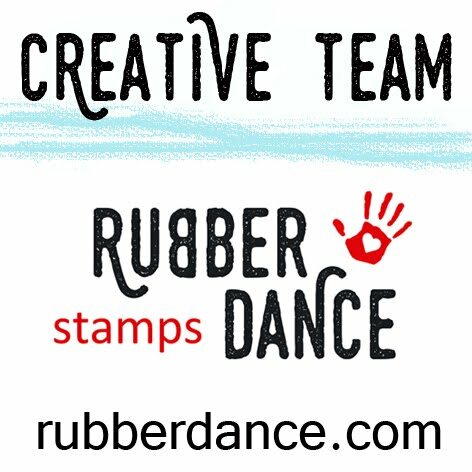 Please join in the fun and be in the running for some Rubber Dance stamps. 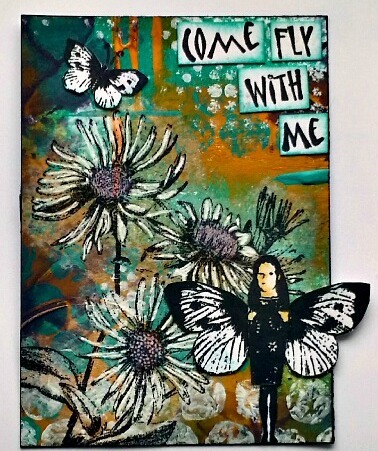 Love your ATCs so much!!! There are so many details to explore!! !